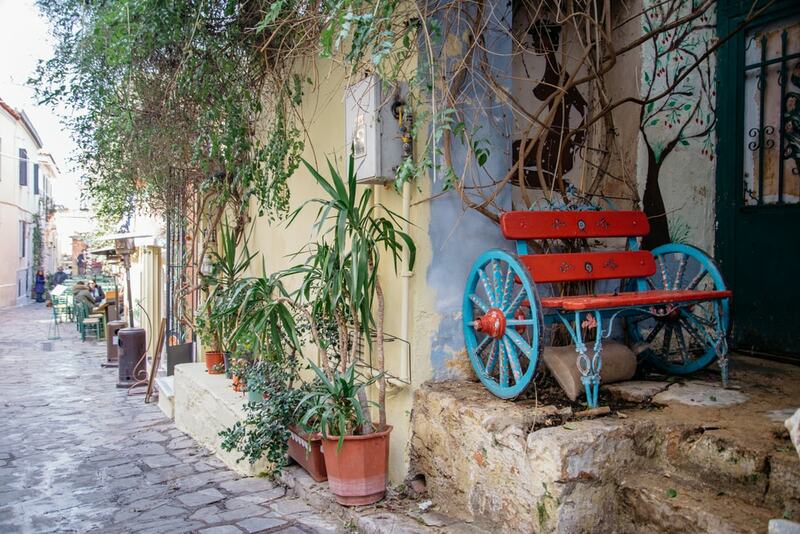 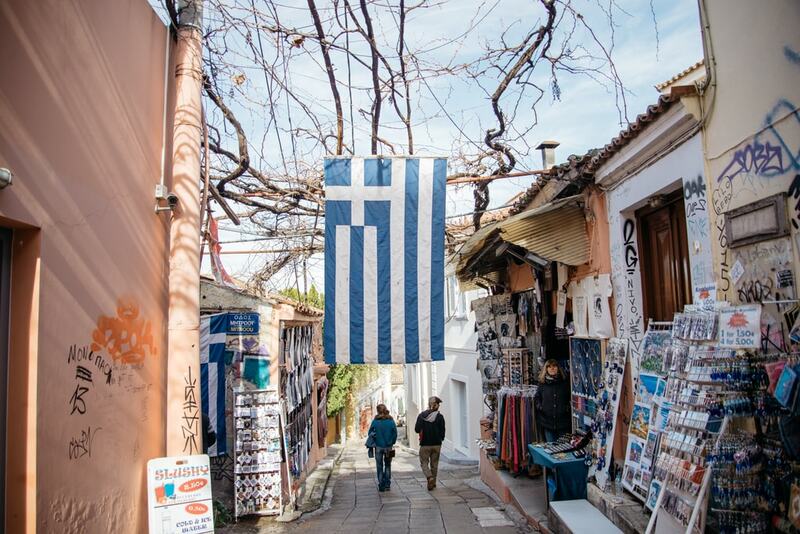 A little village inside the Greek capital, Plaka is undeniably one of the most photographed districts in Athens. 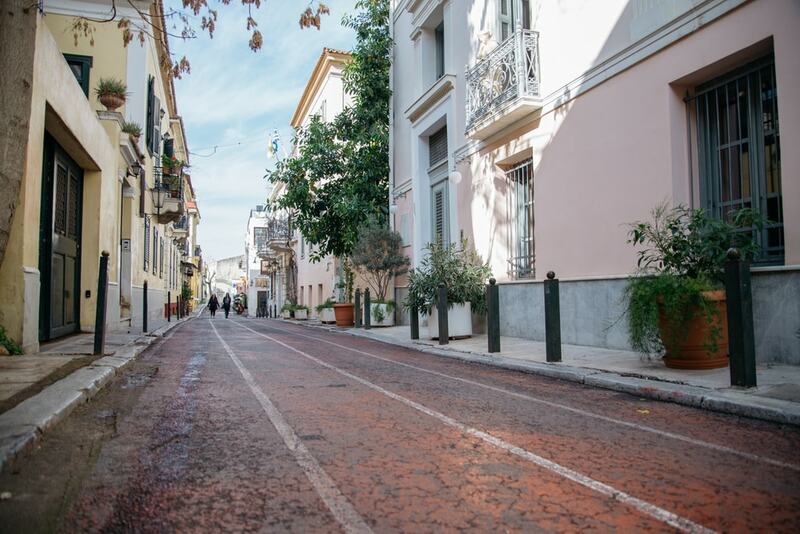 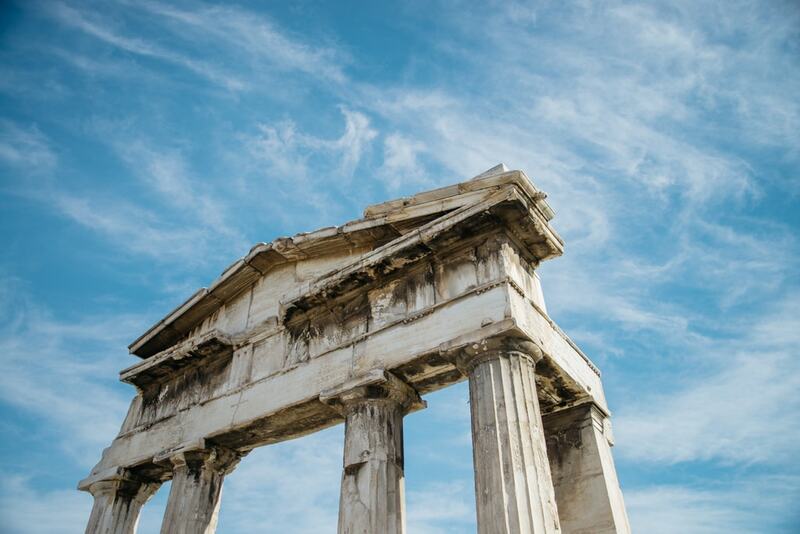 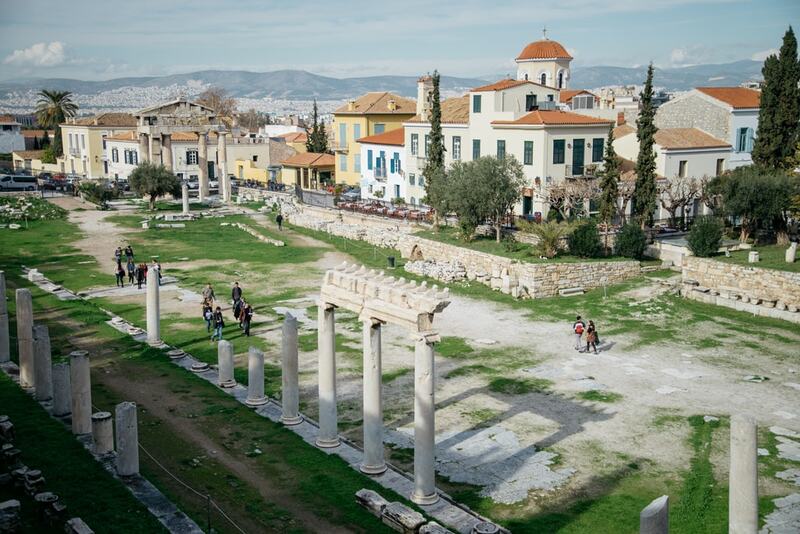 This historic little gem, which was once the central heart of the small city of Athens, is now an area where visitors and locals enjoy wandering around, admiring the beautiful remaining neoclassical mansions or enjoying a cup of coffee on the stairs of a little ouzeri. 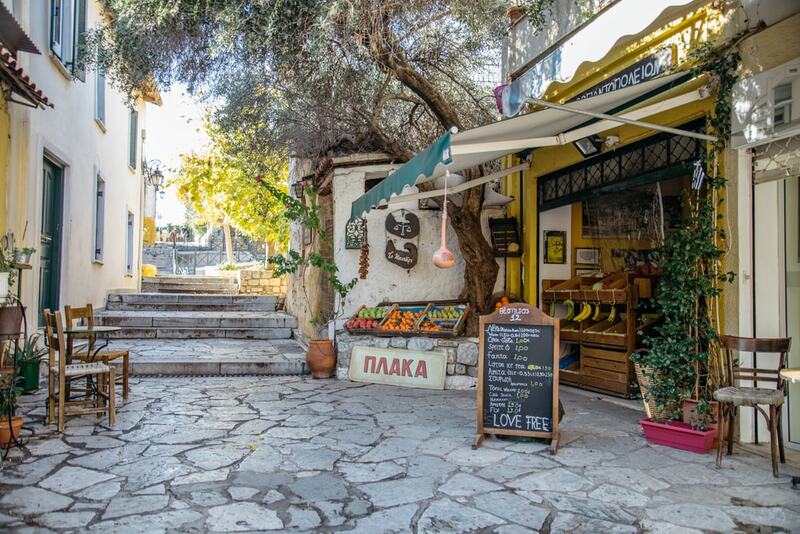 Nestled on the northeastern slopes of the Acropolis Hill, Plaka is known for its cute little cafes and tavernas, its souvenir shops and the few monuments it contains. 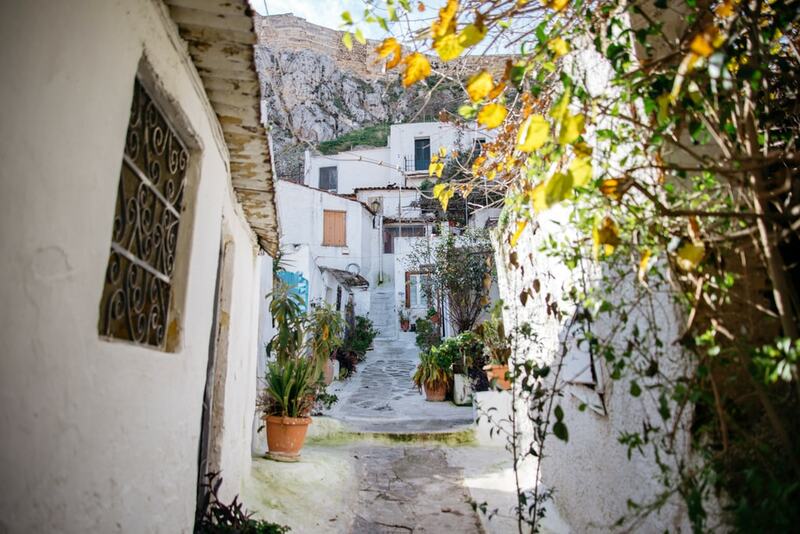 But few actually venture past the narrow streets and steep stairs into Anafiotika, an island-like area where residents of the Cycladic island of Anafi relocated when they came in great numbers to the newly-appointed Greek capital and were needed for the construction of the city. 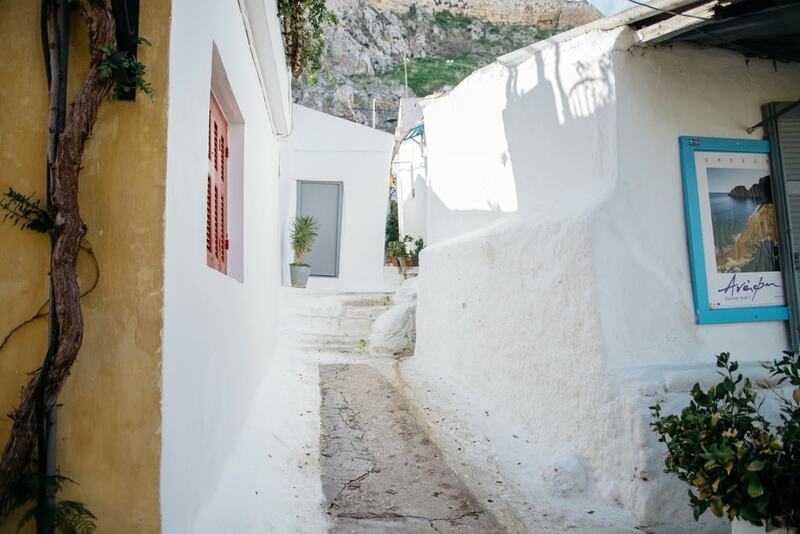 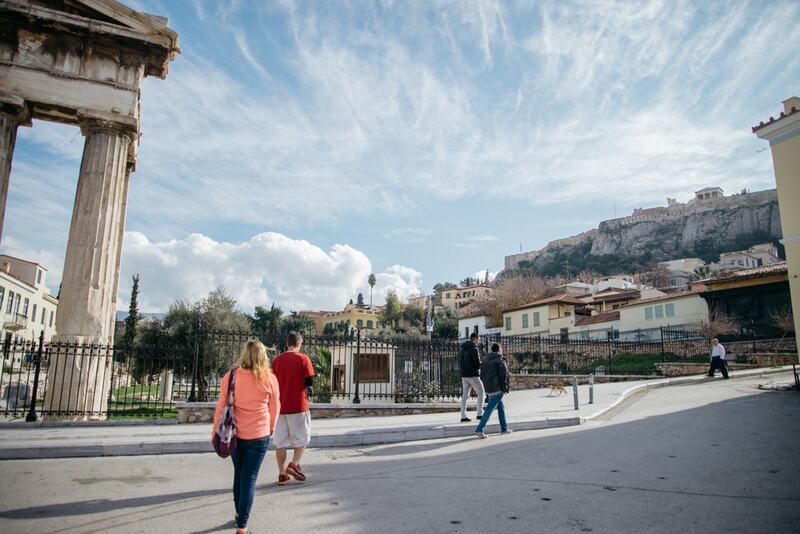 Here is where you’ll find whitewashed houses and cottages covered in bougainvilleas under the shade of the Acropolis. 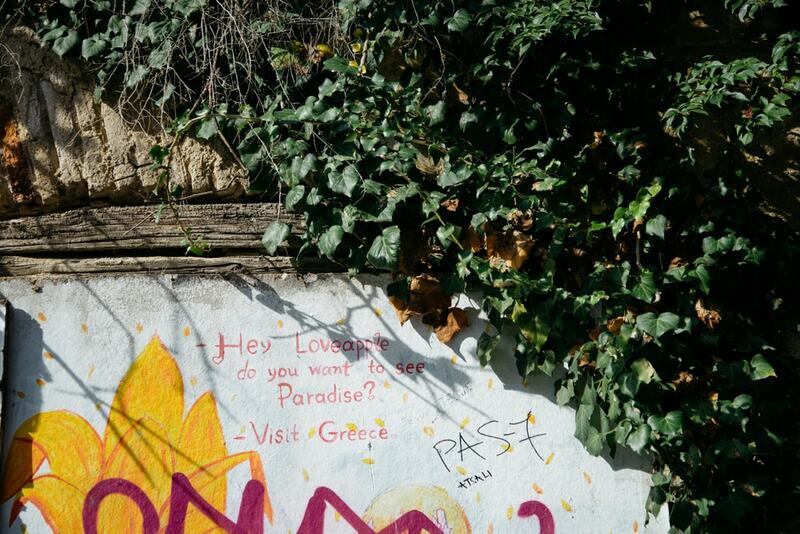 Another little-known fact about Plaka is that it can definitely be a destination for those into street art. 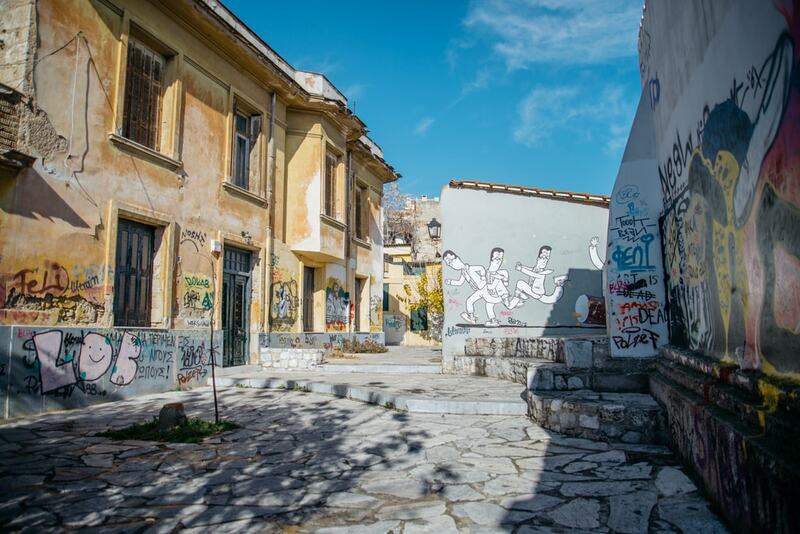 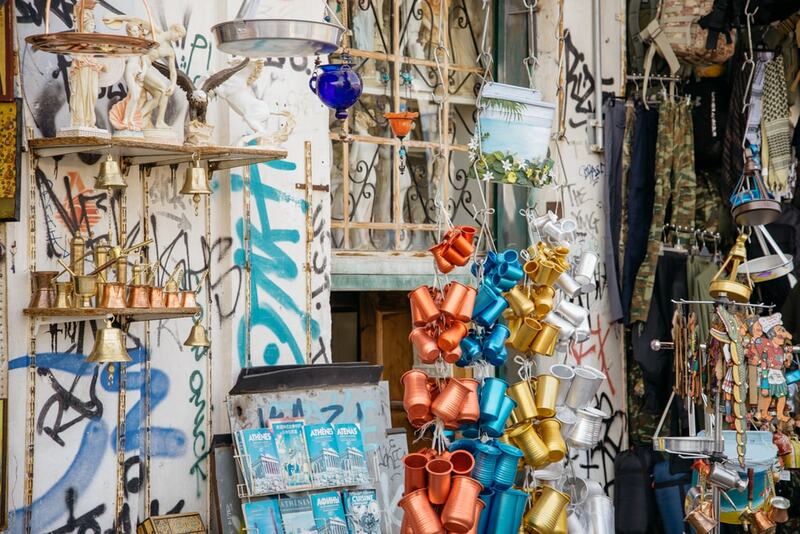 While many opt for the more obvious choices like Exarcheia, Psyrri or Metaxourgeio, Plaka is equally interesting for those into the urban art form. 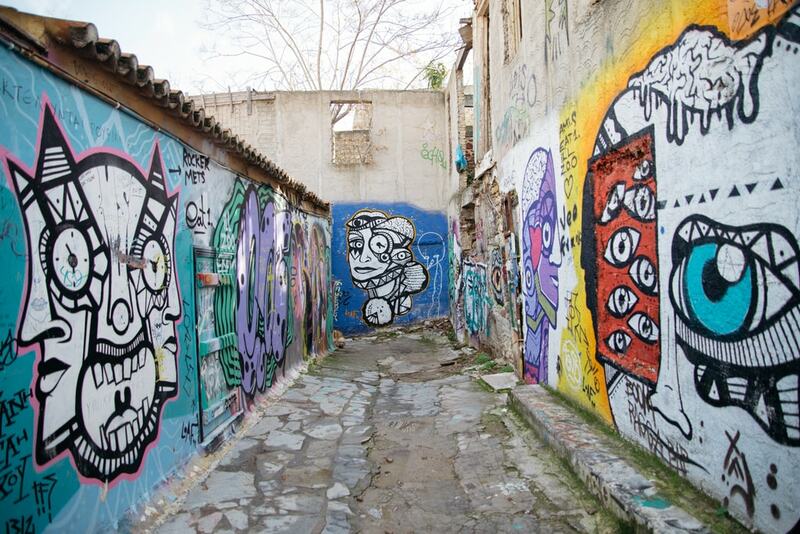 With many houses left abandoned, it is the perfect playground for street artists. 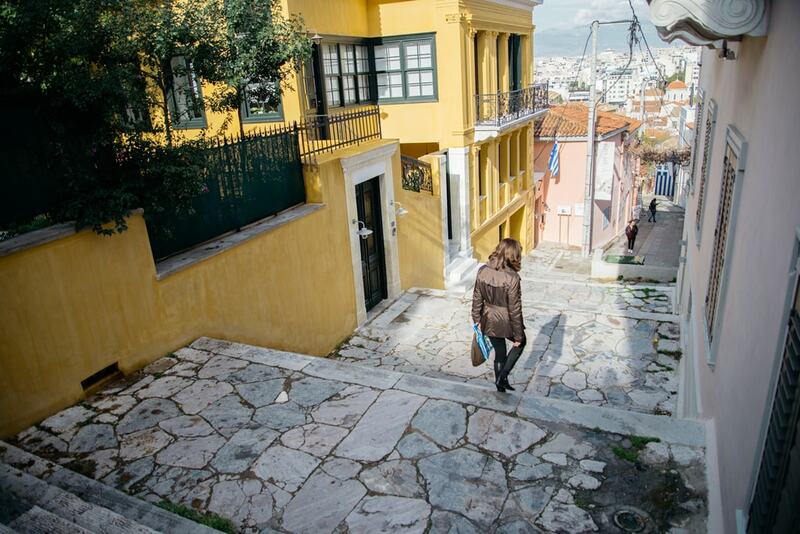 While exploring the area, you will be amazed at the picturesque nature of Plaka. 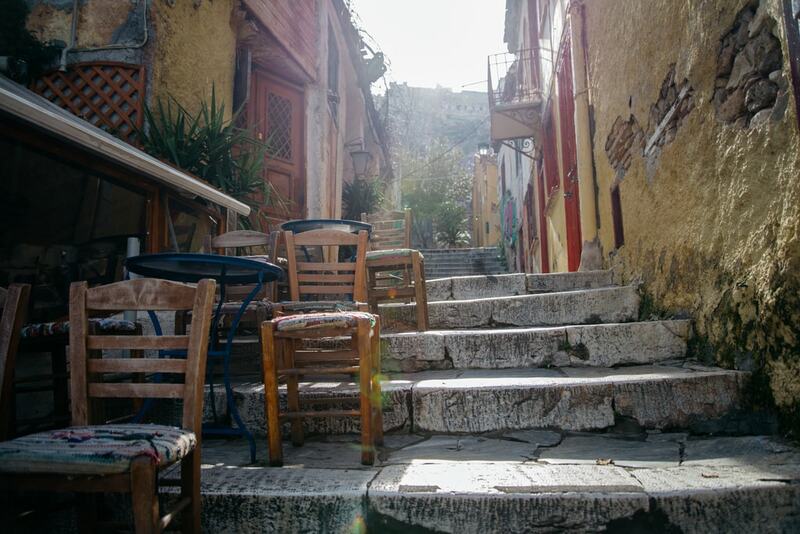 With countless little hidden corners, numerous tavernas and cafes where you can take a break and enjoy a refreshing beverage or a hearty meal, away from the hustle and bustle of Athens, Plaka is certainly Instagram-worthy. 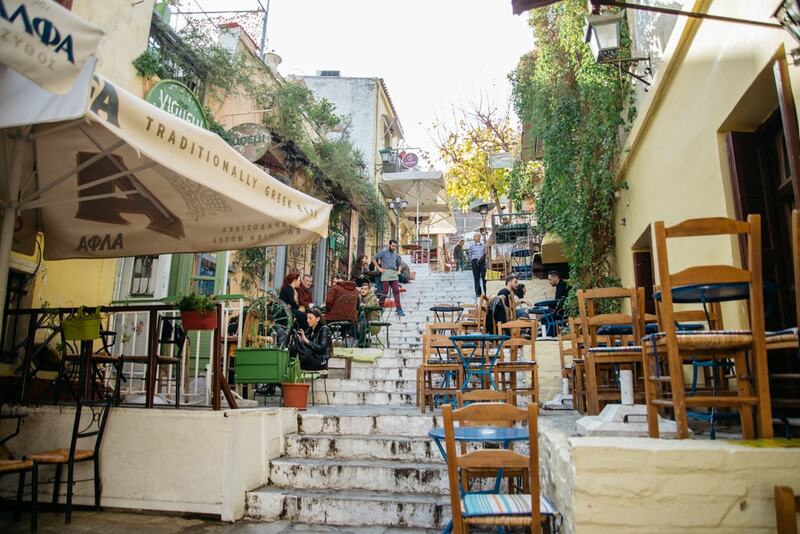 Plaka is also the perfect excuse to get away from busier areas of the city and relax with a cup of coffee, catch up with an old friend at a cozy cafe-bistro or enjoy a quiet afternoon reading your favourite book while enjoying some people watching. 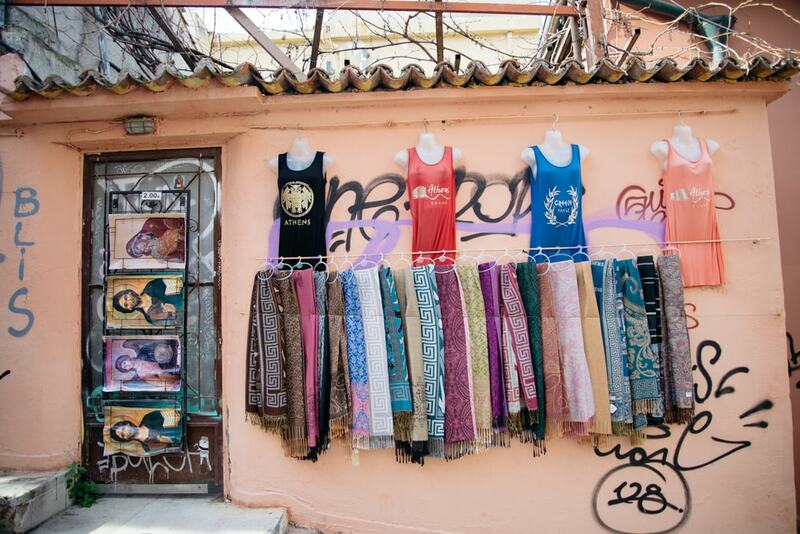 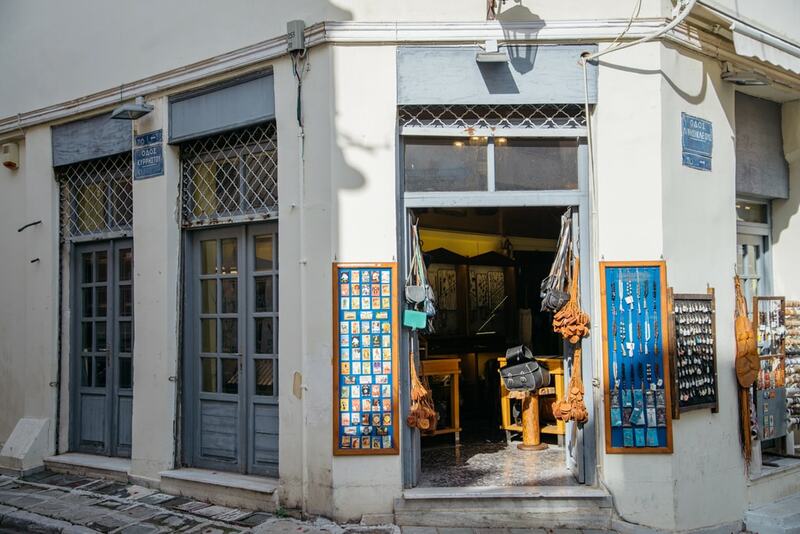 But Plaka is equally the ultimate stop for those on the lookout for souvenirs. 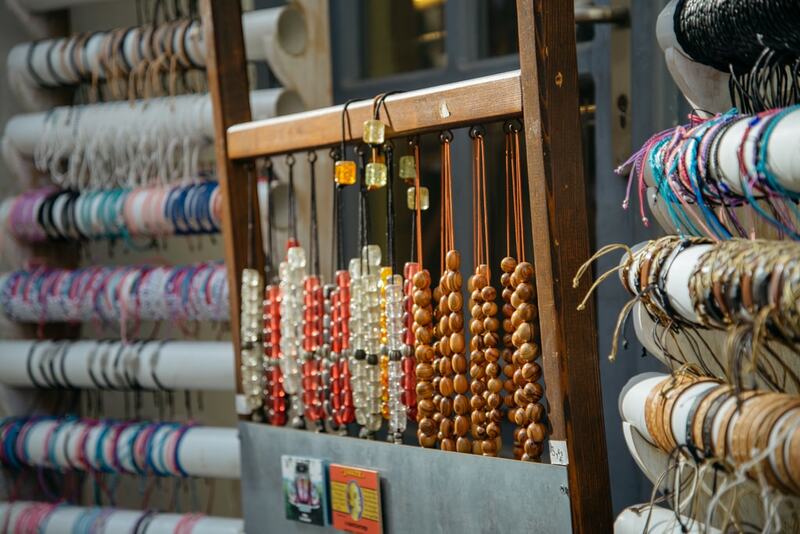 Whether you are looking to bring back the usual suspects (magnets, t-shirts, prayer beads and natural sponges) or more sophisticated ones, you will find them all here. 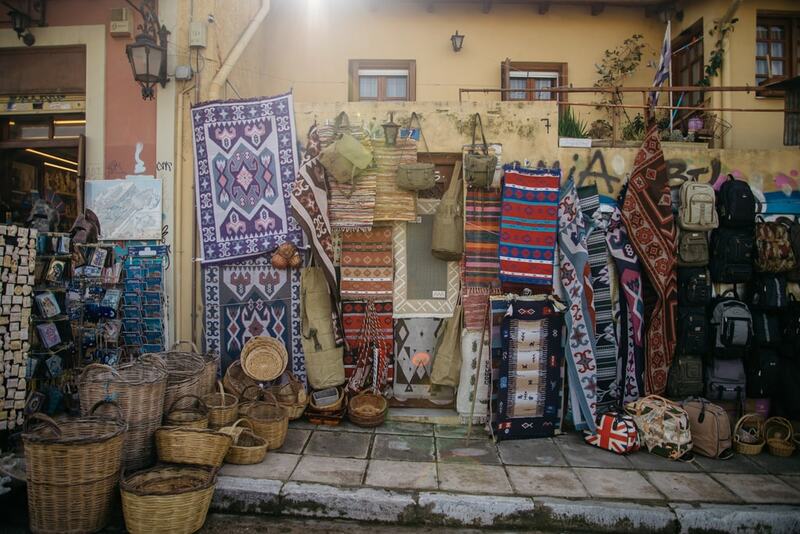 And even when you think you are done with sightseeing, you will find a collection of unique landmarks, churches and even museums scattered around in Plaka, including the Museum of Greek Folk Art, the Museum of Popular Music Instruments, the Agios Nikolaos Ragavas Church, Choragic Monument of Lysicrates, the Roman Agora and the Fethiye Mosque, a restored mosque dating from the Ottoman era.